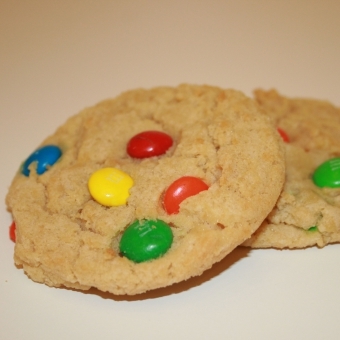 Our M&M® cookies are similar to our delicious chocolate chip cookies but made with M&M® candies. They have a soft chewy texture and a rich chocolatey flavor. If you are a fan of M&M®’s you will love these. Size: -- SELECT -- M&M ® Cookie 12 ct.M&M ® Cookie 24 ct.M&M ® Cookie 36 ct.M&M ® Cookie 72 ct.M&M ® Cookie 108 ct.